At a time when football clubs are coming under increasing scrutiny over high ticket prices, this is an excellent opportunity to see some of the world's best players in the premier club competition. Buy one full price ticket for MCFC v CSKA Moscow (GBP 25) and get another for nothing. This only works for one free ticket at a time so if you want more you need to go through the checkout process again after paying. The match is on Bonfire Night (5th November) and UEFA restrictions mean CSKA fans are barred from attending so would be ideal for families or anyone who wants to help create an excellent atmosphere to spur the boys on! Registration required to purchase tickets but is free. Did you see their attendance vs Roma? Did you see they still hold the record attendance 84,569. In my opoinion you don't have a clue what you are talking about ! Did you see they still hold the record attendance 84,569.In my opoinion … Did you see they still hold the record attendance 84,569.In my opoinion you don't have a clue what you are talking about ! nice one. 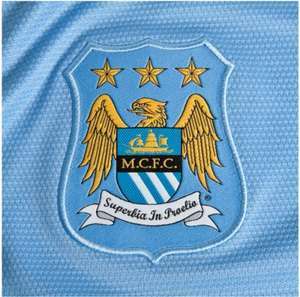 what a game today COME ON CITY! Yes in 1934,what of it ? Last time I went to see City (i am not a fan, but it was a cheap ticket on Viagogo...they do have trouble selling em) about 8 months ago the game was called off due to a Hurricane. They didnt announce anything till about twenty minutes betore kickoff. I risked my life to get there, and the pansies didnt turn up. How the **** can they not sell out a Champions League game? How is it well done City? The reason these seats are so cheap is because nobody wants to go at full price. If they could charge full price, they almost certainly would. Are they doing BOGOF for the home matches against Man Utd? I somehow doubt it. not a city fan but an excellent deal.. HEAT ADDED ! Trying to fill those empty seats. Shame they don't have the amount of fans they might have had 80 years ago. Good deal ,still spit on it though. United! Imagine blaming bonfire night as a reason your club doesn't sell out. Hahaha oh dear. so their core has a season ticket and don't want to pay extra for CL matches. I really hope that some fans will be able to get to a Champions League match because of this deal, but it does show yet another example of what a poorly supported club they are. Empty seats all the time. You can buy the best players, the fancy stadium, but you can't buy real fans. Cant seem to buy tickets via the website select the no of tickets and it defaults back to 0. Did you see that ludicrous display last night? What was Wenger thinking? The thing about Arsenal is, they always try to walk it in! at a guess, I would think it is because they still have a lot of local … at a guess, I would think it is because they still have a lot of local working class fans, and have not become a corporate club where they only want wealthy fansso their core has a season ticket and don't want to pay extra for CL matches. But but but they are they are the best supported Club in Manchester, surely the best supported Club in Manchester could sell out for what is regarded the best football competition, Manchester is blue after all:|. Or maybe, they arent as well supported as they want the World to believe. Maybe those three stars above their badge represents the amount of times they've sold out their ground. Did you see that ludicrous display last night? What was Wenger … Did you see that ludicrous display last night? What was Wenger thinking?The thing about Arsenal is, they always try to walk it in! Must be an IT fan. What hahahahahahahahahahahaha, what differance does it make? Are they now going to diaspoint their kids because the tickets are buy one get one free. It takes a few years of buying trophies to build up the fanbase to sellout games, have chelsea managed it yet? Deal posting newbie! This is thomasalexanderwinstanley first deal post. Help out by leaving a posting tip or just to show your appreciation for their contribution.